The center is housed in a brick downtown building which was once the home to the most elite movie palace in the region. The original Columbia Theater, built by German immigrant Fred Schlez in 1938, was a decadent movie palace that attracted patrons from all over the coastal region. Unfortunately, as development spread in neighboring areas, the theater was closed in the late 1960s, and the building remained vacant with no new tenants for nearly 30 years. In 1995, the Partnership for The Sounds, an organization dedicated to education about the unique Inner Banks ecosystems that are a hallmark of Columbia, took an interest in the property, and began extensive renovations inside and out, cumulating with the grand opening of the Columbia Theater Cultural Resources Center in 1998. Today, visitors can explore the extensive exhibits and resources in this environmental and cultural history museum dedicated to the natural sound-bordering habitats, and the effects that human development has had on the region. Exhibit areas chronicle how locals throughout the past centuries have utilized the region's resources, particularly when it comes to lumber, farming and fishing. Local legend "Hunter Jim" enlightens visitors with the hunting traditions of the sounds - a hardy venture that involved plenty of waterlogged hours tromping through the salty waters -while a variety of antiques and other local treasures give visitors a little insight into Columbia's rich but seldom discovered past. Visitors will find common household items, business, fishing and farming equipment, and even standard wardrobe items from over a century ago within the massive brick-walled space. An in-depth video also captures local residents' experiences for a bit of personal history about the area, and information is available on site about Columbia's other extensive natural attractions and resources. School groups are always welcome, and tours can be arranged with advanced notice. The Columbia Theater Cultural Resources Center is open Tuesday through Friday,10:00 a.m. until 4:30 p.m., and Saturday, 10:00 a.m. until 2:00p.m. 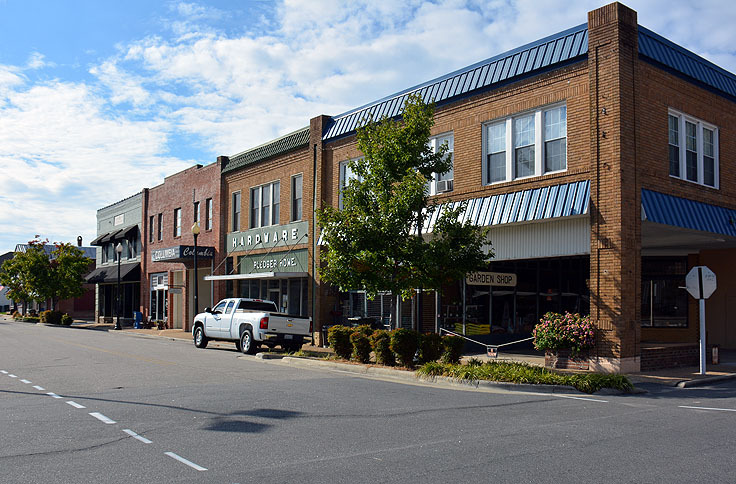 Located on 304 Main Street in the heart of Columbia's small but vibrant downtown, the theater is a must-stop for visitors who are exploring the shops and galleries in the recently renovated area. Admission is a nominal cost, and generally runs about $2 for adults, and $1 for students. A gift shop is also located on the premises for some one-of-a-kind local treasures that can't be found anywhere else in the Inner Banks, and meeting rooms are available as well for corporate or local events. 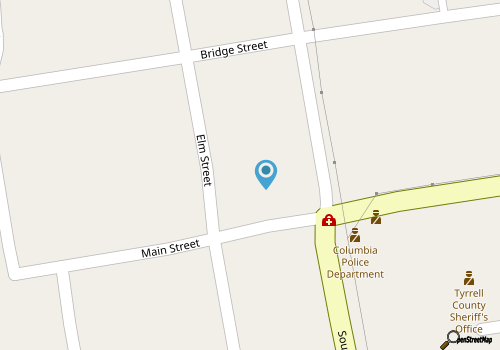 With a prime downtown location, and an enviable history as one of the region's most popular and elite movie palaces, the Columbia Theater Cultural Resources Center is the perfect spot for Columbia newcomers to get a taste of the environmental and cultural heritage that this small southern town enjoys. 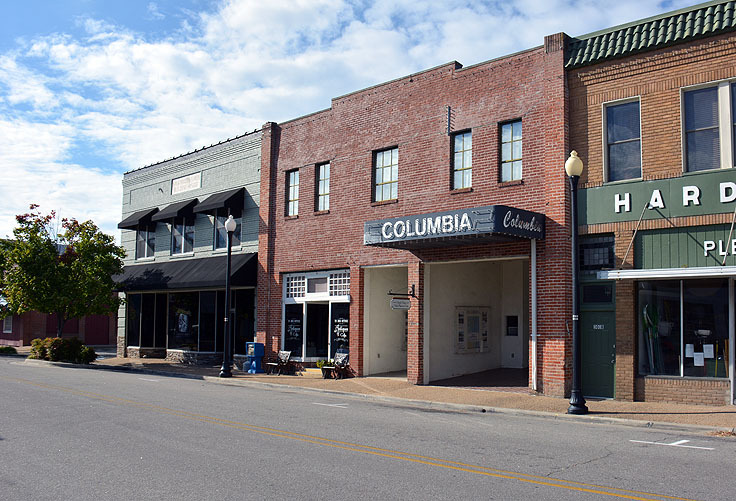 Ideal for school groups, history lovers, wildlife fans, and anyone passing through who likes to uncover the undiscovered, the Columbia Theater Cultural Resources Center is a core example of how this small town is steadily shaping the blossoming Inner Banks tourism scene.